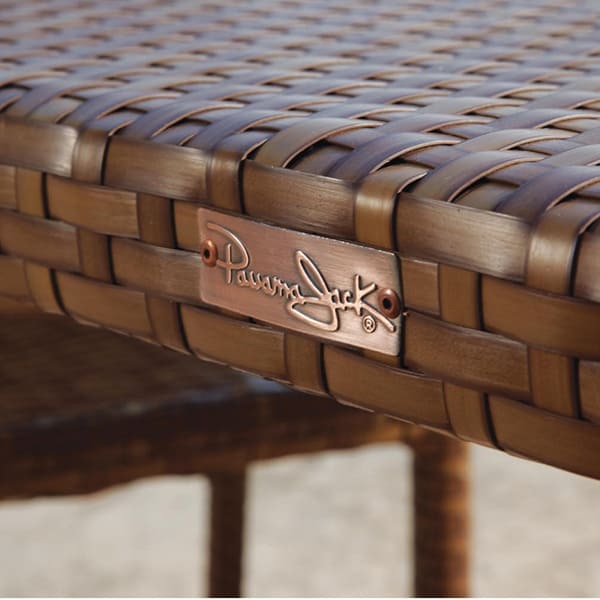 Pioneering the casual island lifestyle into popular culture and style, Panama Jack has been a perennial favorite among outdoor furniture designers, and they do not disappoint with their quality-constructed, all-weather 5-pc. Arm Chair Dining Set from the simple, yet durable St. Barths Collection. 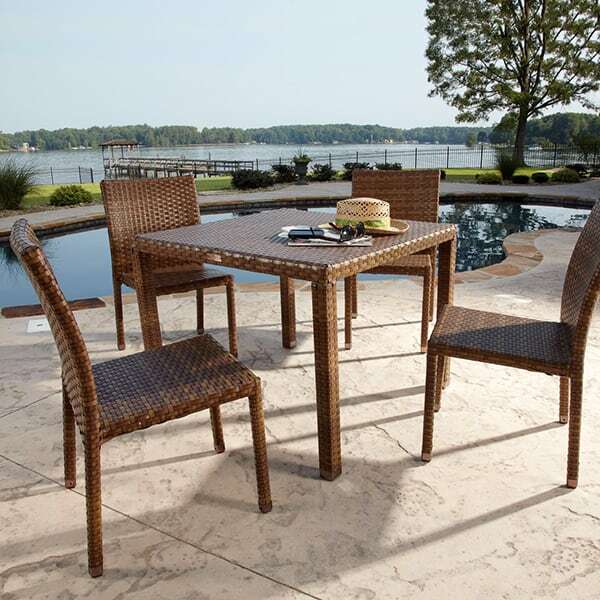 With its powder-coated extruded aluminum frame, Viro® Synthetic Fiber weave, and Brown Pine finish, this outdoor dining set protects against rust and UV rays. Designed for stackability, the arm chairs can be stored away during the off season if space is limited. 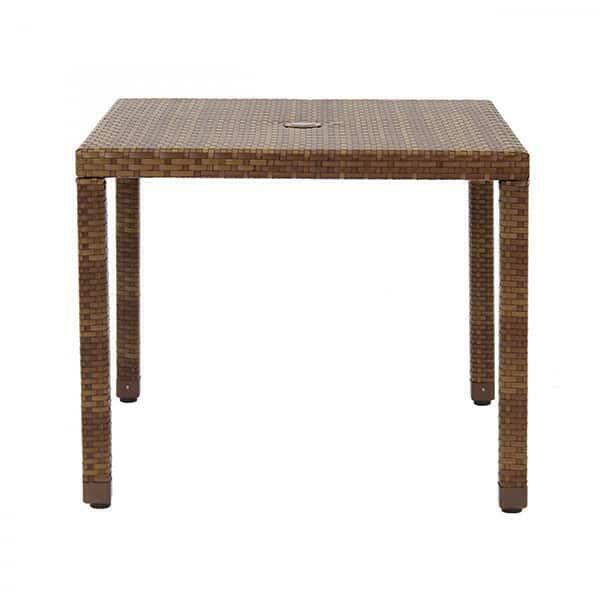 The 36-inch square woven table contains Plexiglass underneath the Viro® Synthetic Fiber, increasing functionality, as it eliminates any need for glass. Refined in style and construction, the St. Barths 5-PC Arm Chair Dining Set brings both high performance and an alluring style to any outdoor space. These items require freight delivery. This shipping method uses a full size semi-truck and product will be delivered to a street-side location (threshold) or into a room of choice (white-glove), based on the level of service requested. A representative will call the day before delivery to setup a time - a signature is required upon receipt. This item will ship the next business day - if there is any delay, a representative will contact the customer immediately. 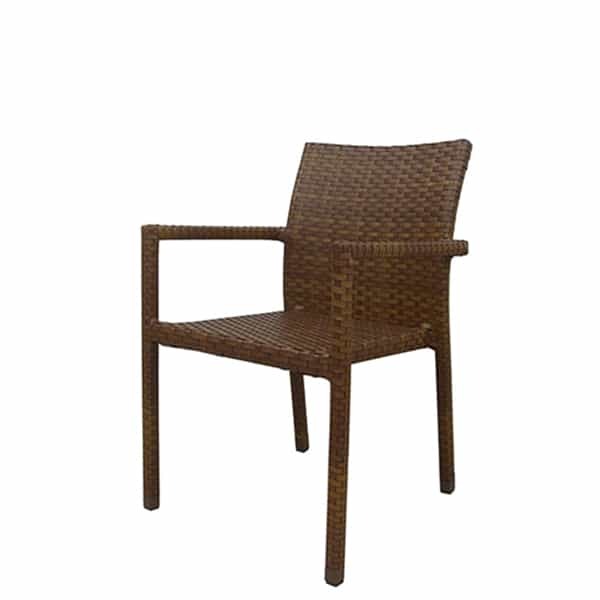 Special order patio furniture ranges from two-six weeks, depending on the manufacturer. For special orders, call 877-775-3478.